Create a custom balloon bouquet or centerpiece for your special celebration with this easy-to-use Helium Balloon Tank. 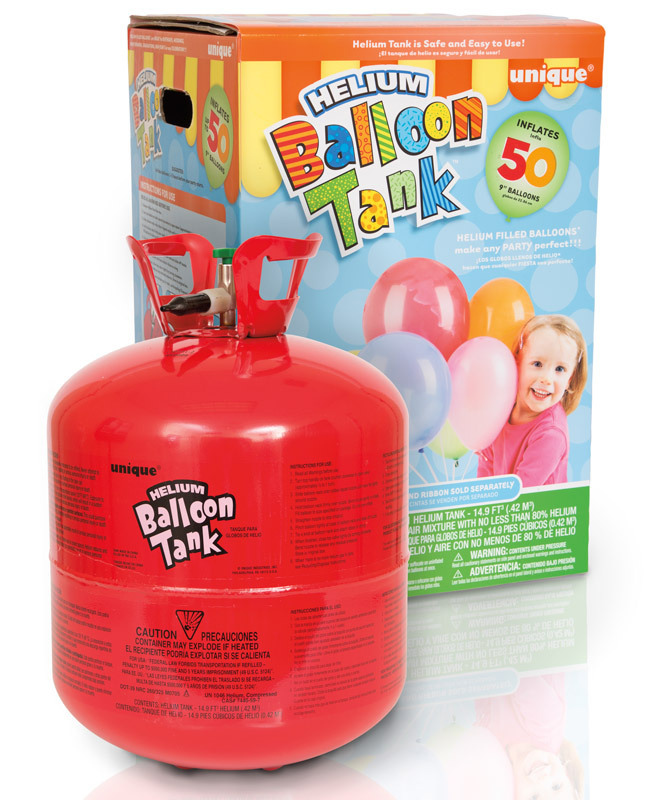 With easy to hold handles, this small helium tank makes throwing a birthday party a piece of cake. Bring this helium tank to your home, classroom, office, or party venue to inflate up to 30 9-inch latex balloons, 16 11-inch latex balloons, or 14 18-inch Mylar balloons. Use an array of colorful, helium-quality balloons to transform any space into something spectacular. Once empty, this disposable helium tank can be easily recycled following these simple instructions. With enough Helium gas to inflate up to 50 9-inch latex balloons or 22 18-inch foil balloons, this helium tank makes it easy to decorate for your next birthday party, graduation, or wedding. 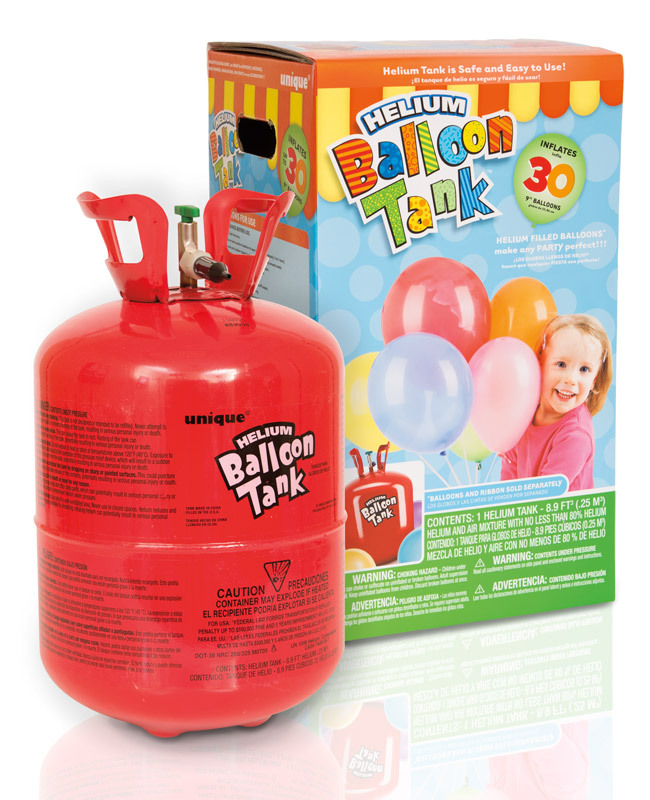 Rather than transporting dozens of balloons from the store, you can use this balloon tank to conveniently inflate balloons at your party. Need balloon decorating ideas? Fill your party space with bunches of colorful party balloons, top each party table with a custom balloon centerpiece, or use balloon weights to anchor balloon bouquets. You could also cover every square inch of the ceiling with floating balloons. After the celebration is over, you can drop off your disposable helium tank at a local recycling facility by following these simple instructions.